Affinity Homecare’s dedicated staff will bring a professional approach to the provision of quality care to all our clients. As a team of care professionals we are ideally placed to provide a care package that will allow our clients to remain in their own homes for as long as possible. 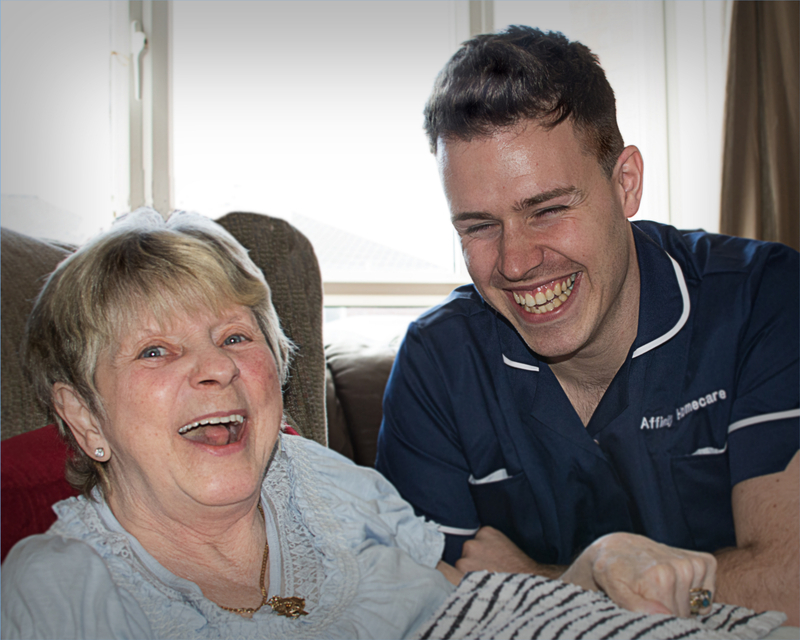 Affinity Homecare ensure complete flexibility to all clients by operating 24 hours per day, 7 days a week, 365 days of the year which is available across a range of times, from 30 minute calls to full time live in care, including temporary respite cover.